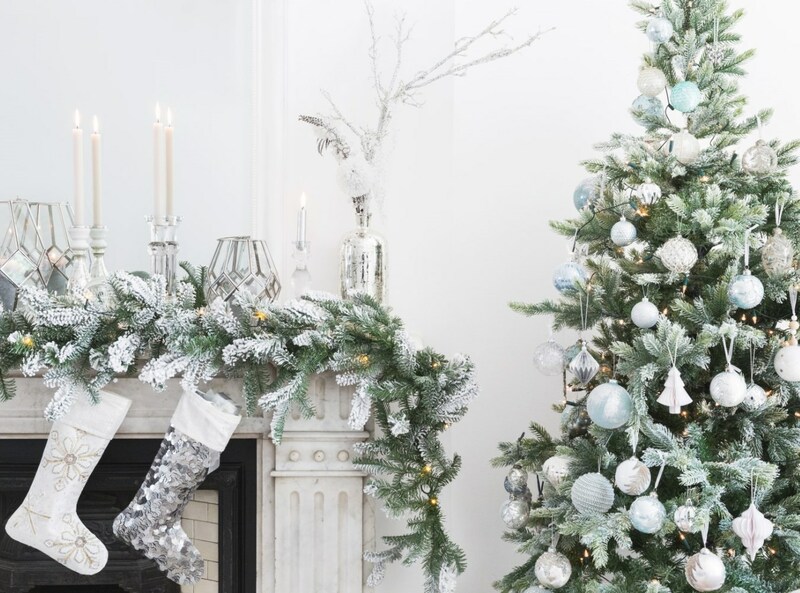 Arguably the main attraction of any festive interior is the Christmas tree so this should be your first port of call when you look to decorate your first home for Christmas. Since the introduction of artificial versions, the war has raged on whether real or fake trees are the way to go for your festive decorating. Essentially this all comes down to personal preference as there are benefits to the experience of picking out your own tree and having it fresh in the home (particularly that authentic pine needle smell), but equally the ease of having a perfectly proportioned and luscious looking artificial tree to hand year on year is a leading benefit for many. When you like to decorate your home ready for Christmas is also a deciding factor on what type of tree is for you. If you are an early bird that wants their decorations up and ready to go on 1st December, an artificial tree will be the best way to achieve this. Once you have the tree sorted it’s time to look at decorating it. Collecting enough decorations to fill a 6ft tree when you are starting from scratch can seem daunting but if you look at the task in layers you will have the perfect amount in no time. Lighting is a fabulous place to start and one of the most important aspects, as without sufficient illumination all of your hard decorating work could go unnoticed. Better Homes & Gardens say to allow 100 lights for every foot and a half of tree so a 6ft tree would require around 400 lights to really shine. There are endless lighting options available so once you have decided how many you need, you can then work out if you want mains powered or battery operated, white or colorful, and whether you want timer functions and effects. Your Christmas color scheme is where you can choose to be as traditional or contemporary as you wish. Gold, red and green or silver and white are classic choices which will look elegant in any home, but in recent years there has been an influx of new color choices with ornaments and tree decorations released in more unusual shades each festive season which shows anything goes when creating your own Christmas look. 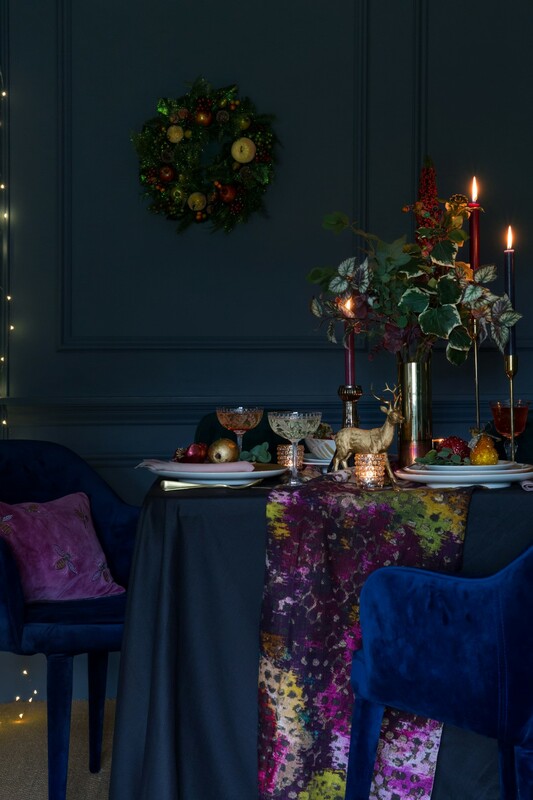 Key colors for this year are crisp icy blues which can be seen in Amara’s Glacial trend, and the jewel-like tones of festive flowers including fuchsia pinks and oxblood reds perfectly exhibited in the Winter Bloom look. 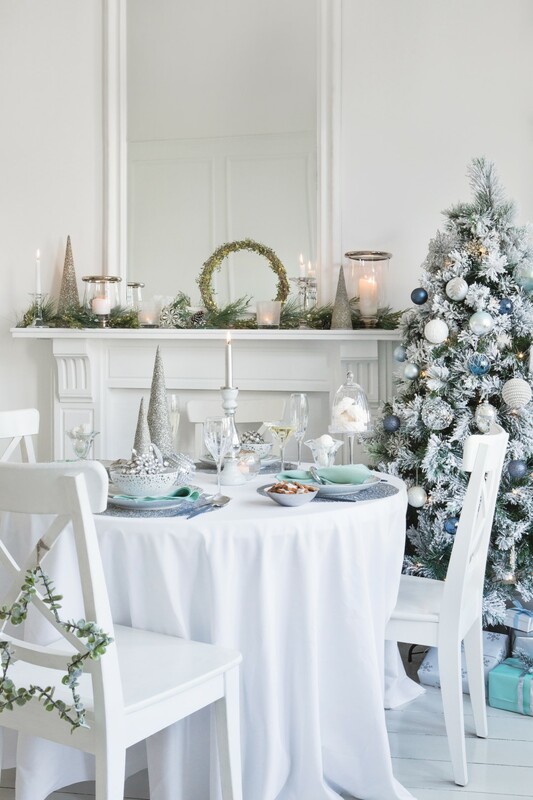 If you’re unsure about adding a more unusual color to your Christmas scheme for your first home start with silver or gold with a touch of white as your base and use an additional shade as a subtle accent color which can be added as much or as little as you like. Now you can get onto the fun part of how to decorate your first home for Christmas – the decorations themselves. 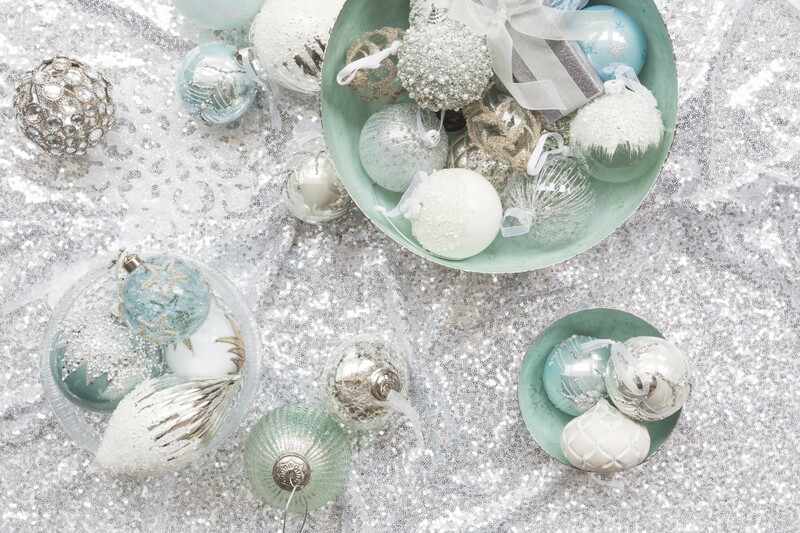 The base of any Christmas tree scheme is the classic bauble which form the foundation of any festive look. Once you have selected your color scheme, invest in a bauble set in the core shade which can be spread evenly throughout the tree. 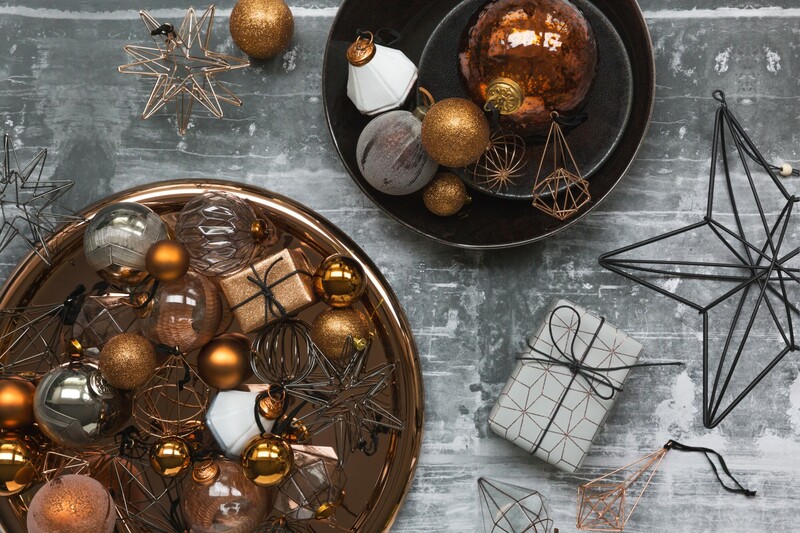 The beauty of bauble sets are that they normally contain a selection of designs from glitter to mirror shine finishes which will look styled when evenly scattered on the branches. 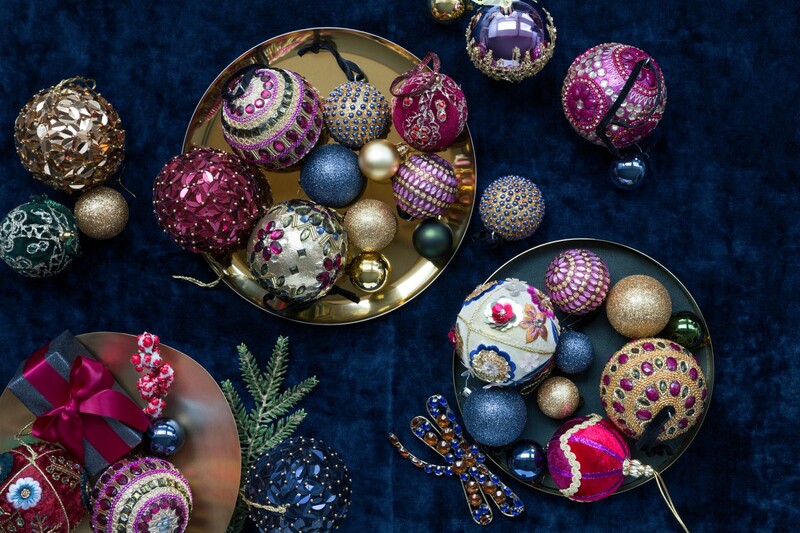 Once you have your base baubles, you can start looking at more elaborate designs to complement these. More decorative baubles and some shaped Christmas tree decorations are also available in small sets to help you layer these alongside your main set. The final step to decorating your tree for your first home is to find the statement Christmas tree decorations which will demonstrate your own personality in your home. 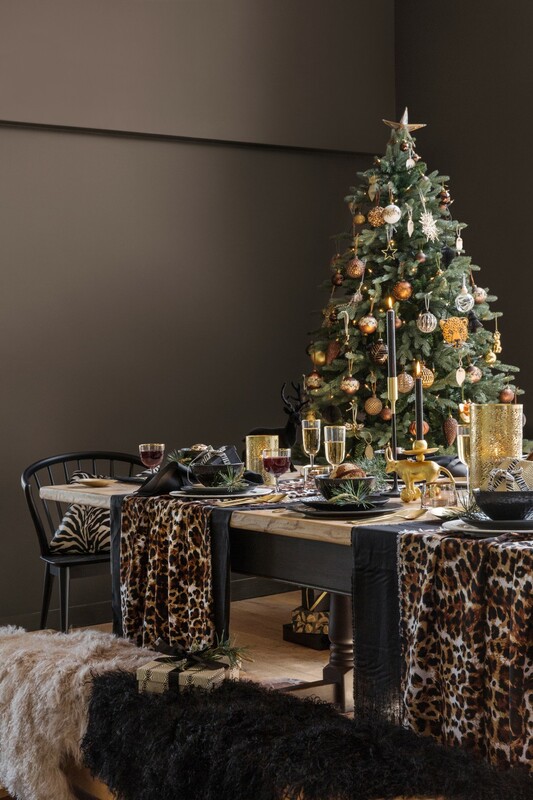 Amara’s Wilderness Christmas trend is an excellent example to look at when searching for statement decorations with striking animal print inspired designs which are certain to get your tree noticed. Your statement decoration collection is something you can add to year on year when you see pieces which catch your eye. Don’t feel like you need to go overboard when a few key piece scattered amongst the branches can work just as well. 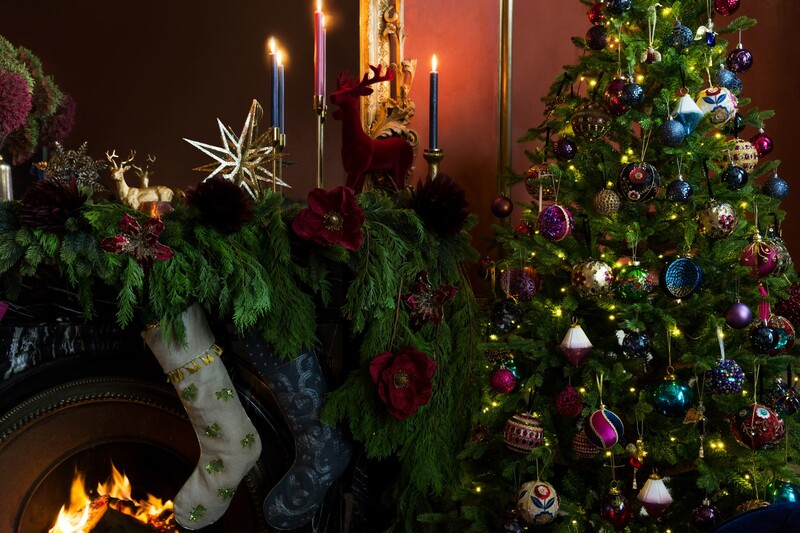 The finishing touch to the Christmas tree is of course a tree topper, which can be anything from a classic star or angel, to an unusual decorative ornament. 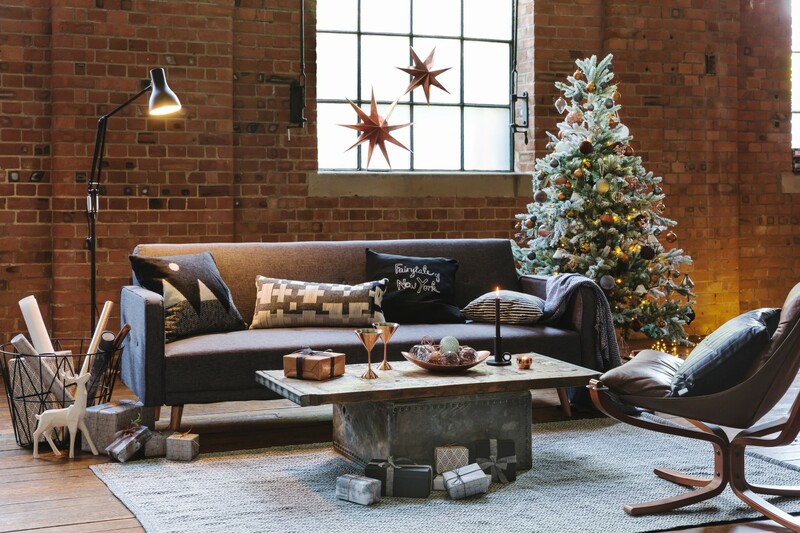 Although the perfect place to start when you decorate your first home for Christmas, it’s not all about the tree. 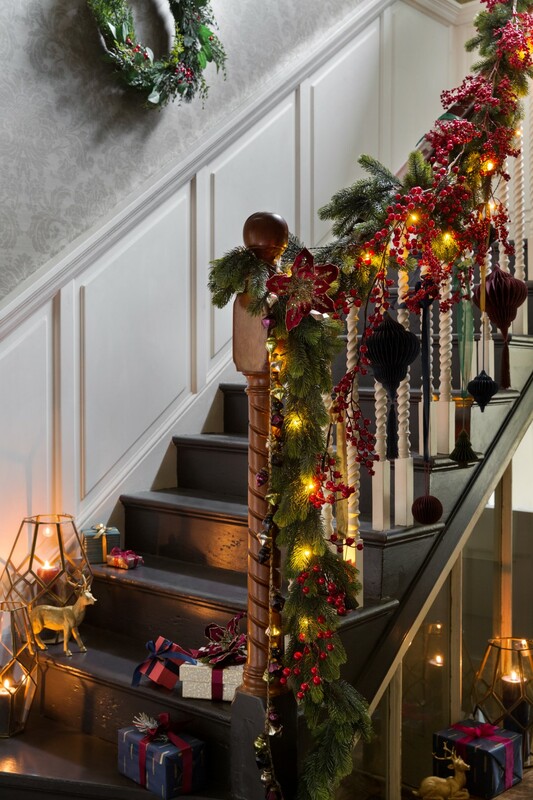 There are many simple touches you can add to the rest of your home too in that first year which will help to create a stylish festive look. A Christmas wreath is an essential festive accessory for your first home as it is a simple yet statement addition. Not just for the front door, wreaths can also be utilized throughout the home, suspended on mirrors or on internal doors. A small selection of garlands and festive ornaments can also be utilized to decorate your first home for Christmas as just a few can go a long way. 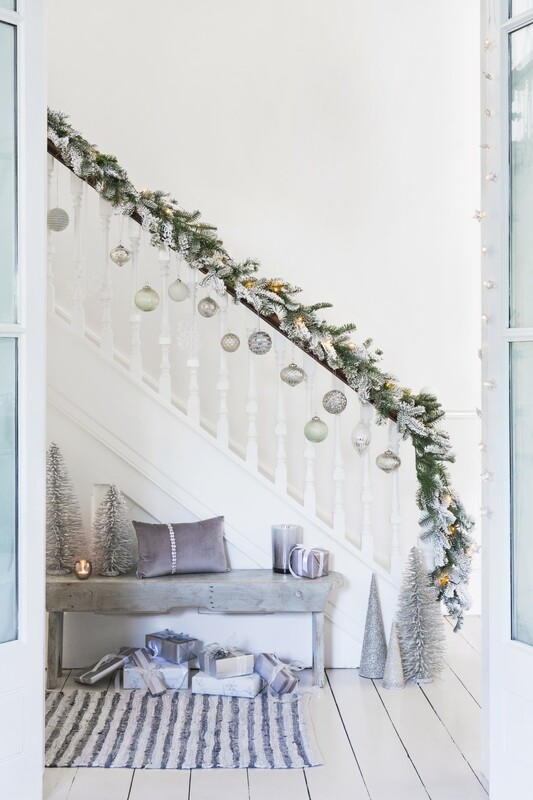 Drape garlands over banisters, shelves or mantelpieces and scatter ornaments on coffee tables and other selective surface to finish your first festive look.